Since I handed in my last piece of work just a while ago I can say I am officially on vacation yay. So while browsing the Anna Sui cosmetic site I came across the new fall collection special colours. They are already on sale in Japan since August 5. I think I'm in love. I am dying to get my hands on some of these beauties. 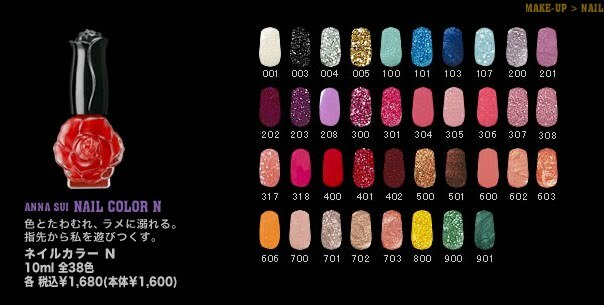 Anna Sui is the brand that started my nail obsession and even though I cannot find her cosmetics in my country my collection keeps growing with the help of friends and through my travels as well. 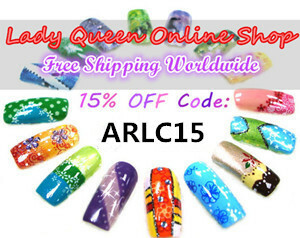 I can safely say that along with China Glaze, they are my favourite brands for nail polish. I love her sparkly bright nail colour collection and the rose scent is an added extra. 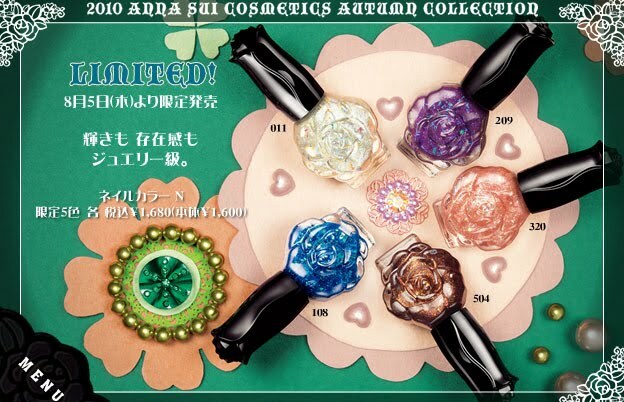 I definitely recommend Anna Sui nail polishes to every nail enthusiast. There is a huge collection to choose from. Oh wow there are a lot of colors and that bottle is too fun! Happy vacation! the bottle is very cute! eeeeeeeek!! 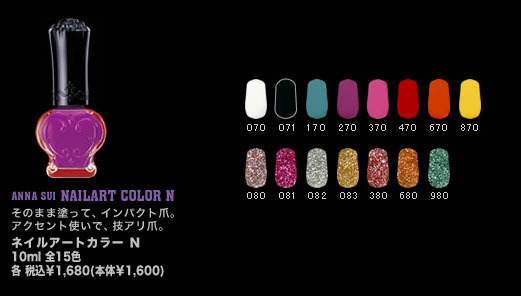 !I see glitter!I waaaaant it! Wow, those bottles look fantastic. I think I would buy one just for the pretty bottle! Awww, the bottles are so adorable! I swear, I am SUCH a sucker for cute packaging. If the product inside is at all decent then I'm totally sold! I would LOVE to add some of these to my collection! If you like this, please vote me! Yup, the bottles are the cutest!